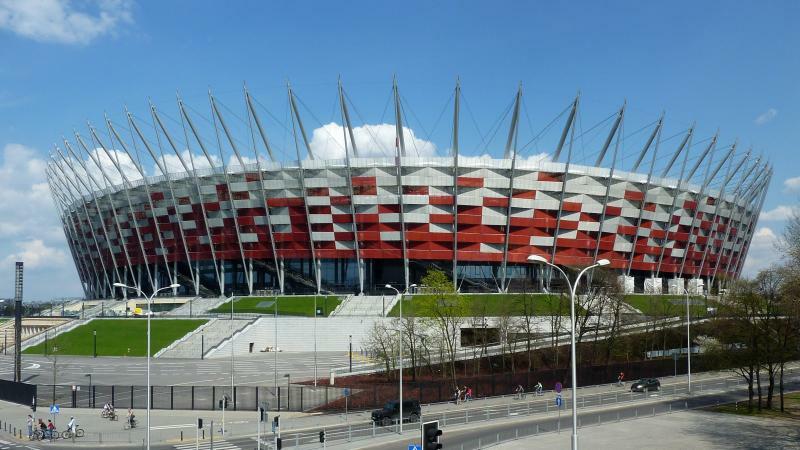 PGE Narodowy, also known as Stadion Narodowy w Warszawie and Warsaw National Stadium, is Poland’s new national stadium. 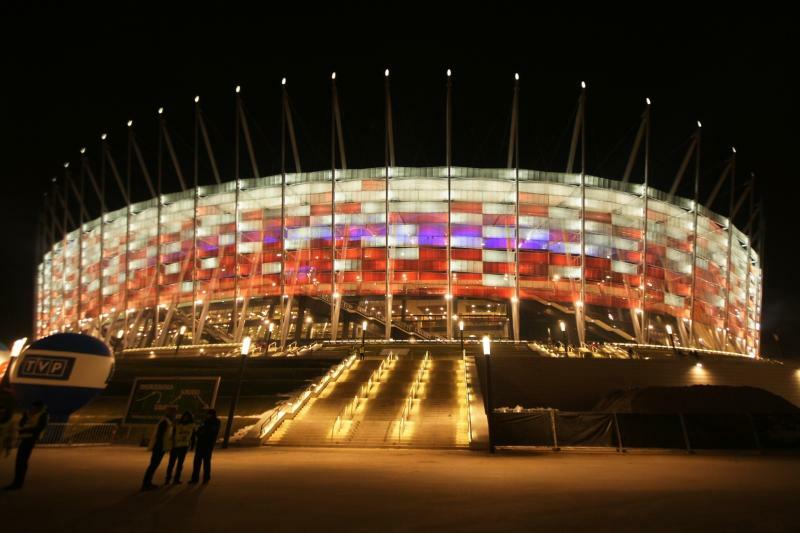 Though plans had long existed to build a new Polish national stadium, these were accelerated when Poland got granted the right to host the Euro 2012 Championships. Stadion Narodowy replaced Warsaw’s previous national stadium Stadion Dziesięciolecia. Construction of the stadium started in October 2008 and was completed in November 2011. During the building works three workers lost their lives in two separate accidents. Stadion Narodowy officially opened on the 29 January 2012 with a rock concert. The planned first match between Wisla Krakow and Legia Warsaw had to be cancelled due to delays in the works and resulting safety issues. 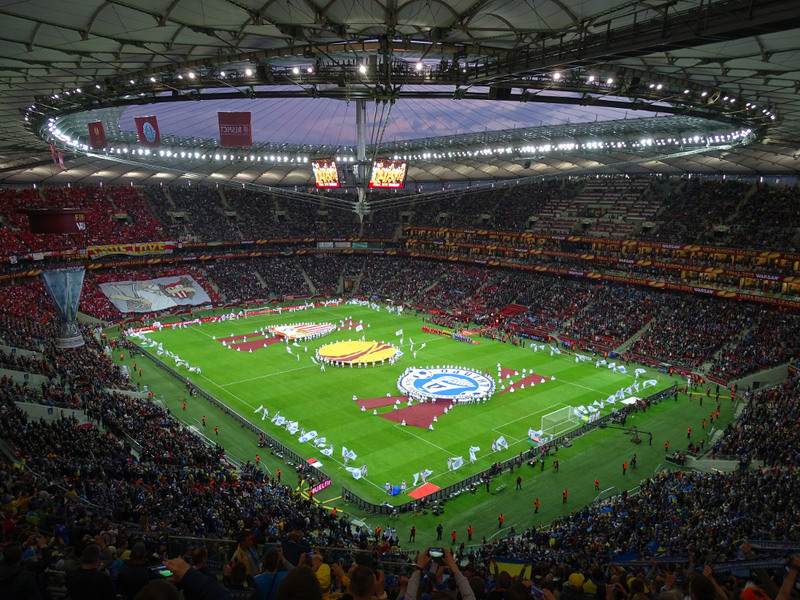 A friendly between the Polish and Portuguese national teams on the 29th of February was therefore the first match played at the stadium. 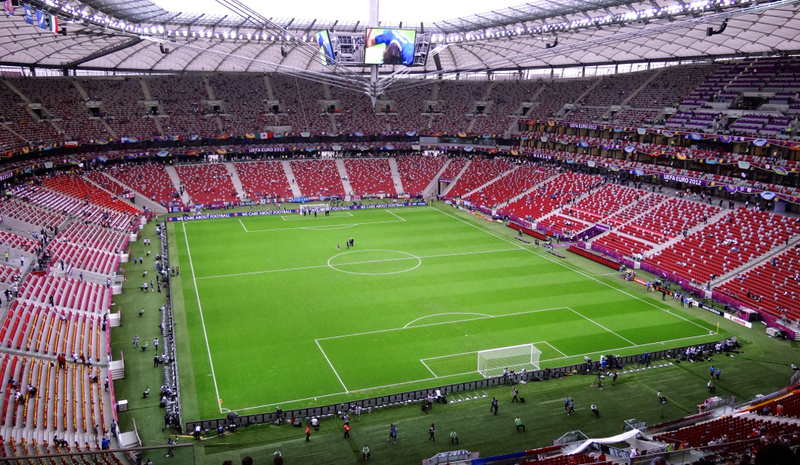 During the Euro 2012 finals, Stadion Narodowy hosted the opening match between Poland and Greece (1-1), two further group matches, a quarter-final, and the semi-final between Italy and Germany (2-1). 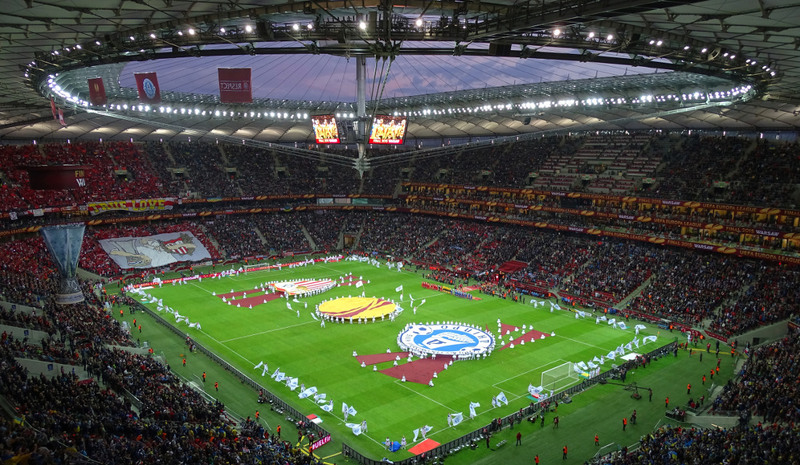 In 2015, the stadium hosted the Europa League final between Sevilla and Dnipro (3-2). In the same year the stadium got renamed to PGE Narodowy following a naming rights deal. One of the most characteristic features of the stadium is its facade painted in the colours of the national flag (red and white). The stadium furthermore has a special PVC retractable roof that can be opened and closed in 20 minutes, and a centre-hung video board. 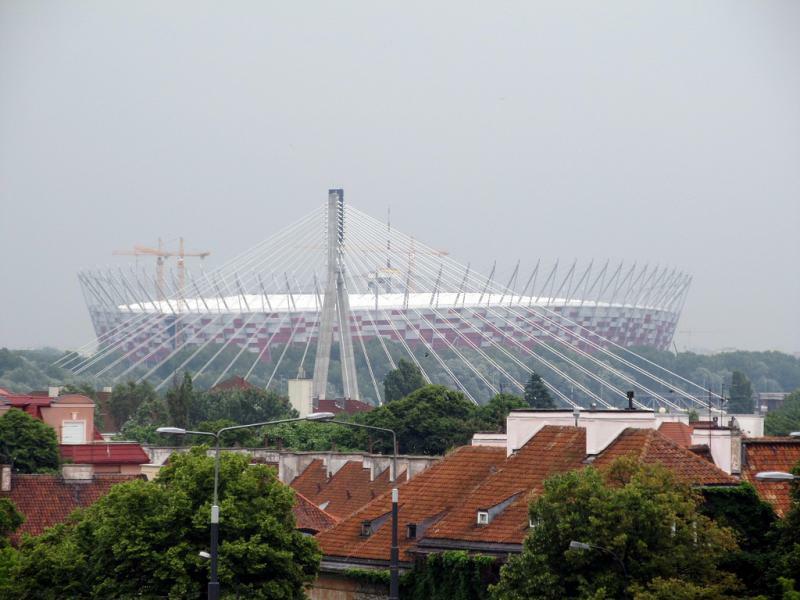 Warsaw National Stadium is located on the east bank of the Vistula river, not far from Warsaw’s city centre. It lies approximately 4 kilometres east of Warsaw’s central railway stadium and the Palace of Culture and Science, and 3 kilometres from Warsaw’s old town. There are various ways to reach the stadium by public transport. The easiest is to use the metro. Station Stadion Narodowy is a short walk away from the stadium and can be reached with the new line M2 (red). Line M2 runs right through Warsaw’s city centre. Alternatively there are various tram and bus connections. Most trams and buses that run in eastern direction from Warsaw’s central station and nearby metro stop Centrum pass the stadium. Tram 7, 9, 22, 24 and 25, and bus 158, 507 and 517 are some of the options. The ride takes less than 15 minutes, get off at stop Rondo Waszyngtona. From Warsaw’s old city centre (down by the river) take bus 226 and get off at stop Kijowska or Zieleniecka (a 7-minute ride). From there it’s a 10-minute walk to the stadium. From Warsaw airport first take bus 175 to the centre and then take either the metro or one of the trams or buses mentioned above. The area around the stadium is mainly residential and offers little in terms of entertainment. 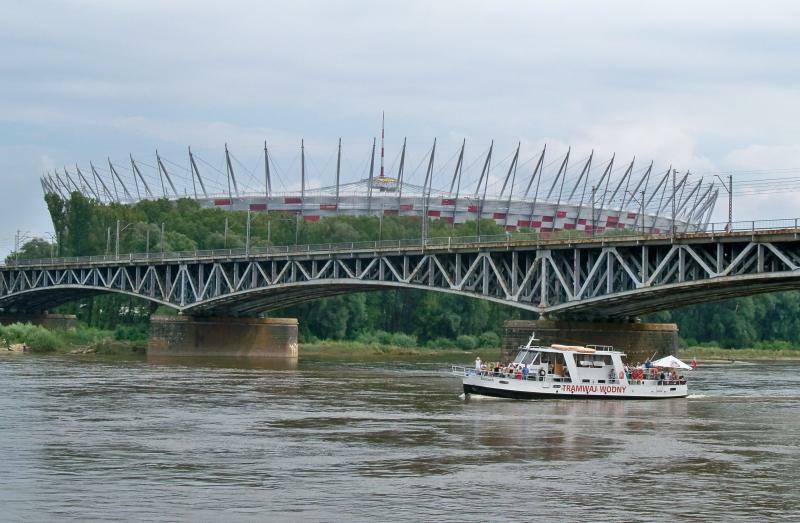 The city centre is not far away though, right across the bridge on the other side of the Vistula river. In particular, Nowy Świat street is full of bars and restaurants and arguable counts as Warsaw’s principal nightlife area. From the southern end of the street it is a mere 20-minute walk to the stadium. There is a more alternative nightlife scene in the Praga area a 20-minute walk north of the stadium. The area used to have a negative reputation in terms of safety, though has recently significantly regenerated. There are a few rental apartments and basic hotels near Warsaw National Stadium, for example Hotel Noclegi and Hotel Dedek Park, but the area is nicer and more fun across the river. Boutique B&B, Royal Route Residence, and Mamaison Residence Diana are almost right on Nowy Świat and get very good reviews. Expect to pay about PLN 300.00 per night. Moon Hostel, Puffa Hostel, the Mercure Warszawa, and the Novotel Warszawa offer cheaper options ranging from PLN 100.00 to PLN 250.00 per night. Click here too see all hotels and apartments near Warsaw National Stadium, or here for other hotels in Warsaw. Stadionnarodowy.org.pl – Official website of Stadion Narodowy. Warszawa.pl – Official website of the city of Warsaw. Jakdojade.pl – Public transport journey planner. ZTM.waw.pl – Warsaw public transport information. Beautiful ground, but unfortunately i went there to watch Poland against England. Someone decided not to close the roof with dreadful rain all over the place, so the game was cancelled. I had to come again the next day, but my experienced was ruined. I hope to come back there one day. One of the newest stadiums in Poland with great accesibility, but the roof must be there for a reason.